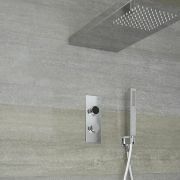 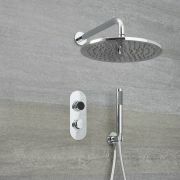 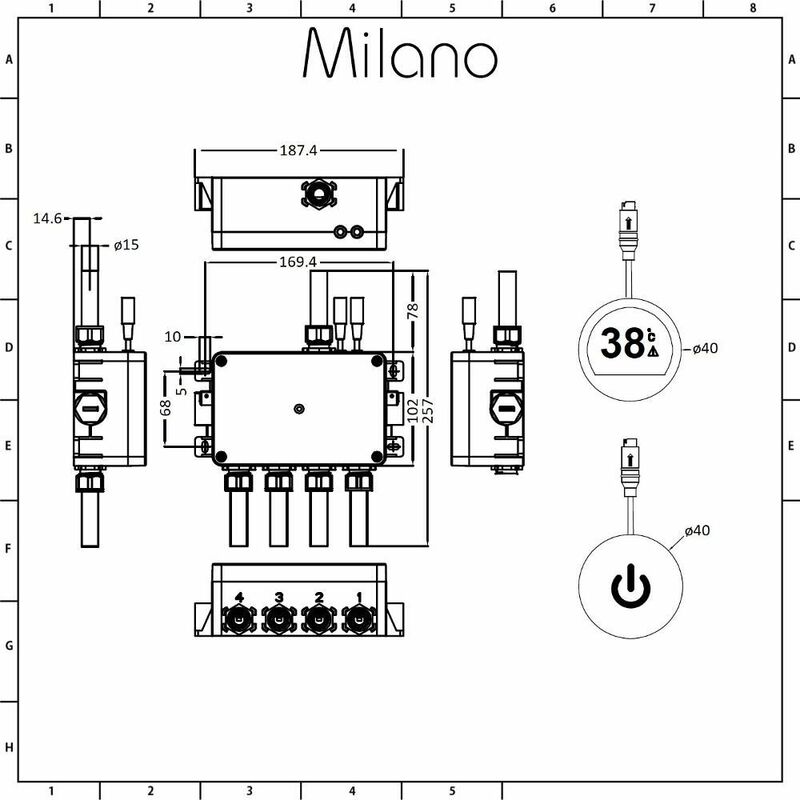 The Milano Vis three outlet digital shower control system will bring designer style and technology to your bathroom. 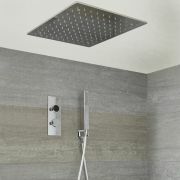 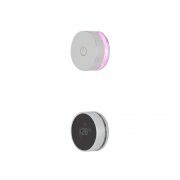 A stylish and easy way to control your shower, the digital thermostatic shower system supplies water to three outlets such as a fixed shower head, body jets and a hand shower. 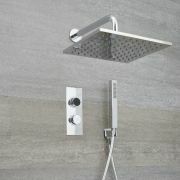 The digital shower system controls the temperature and diverts the water flow between the functions. The control has a colour changing indicator for the temperature. 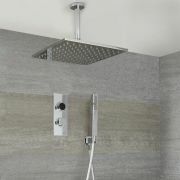 The digital shower provides precise temperature control so you can achieve your perfect shower. 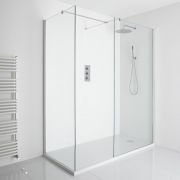 To operate - turn the shower on and off with the touch of a button, and adjust the temperature by simply turning the control. A recessed area in the ceiling or wall is required to allow for the installation of the control box. 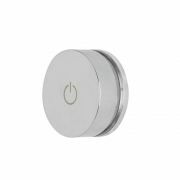 The digital shower control can easily be programmed with various shower functions, so you can create a customised showering experience that perfectly suits your requirements. 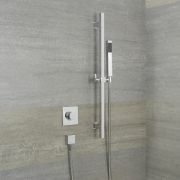 The sleek design of the digital shower control creates a neat, streamlined finish, and adds a smart, contemporary look to any bathroom. 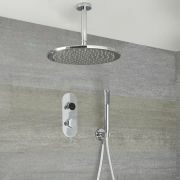 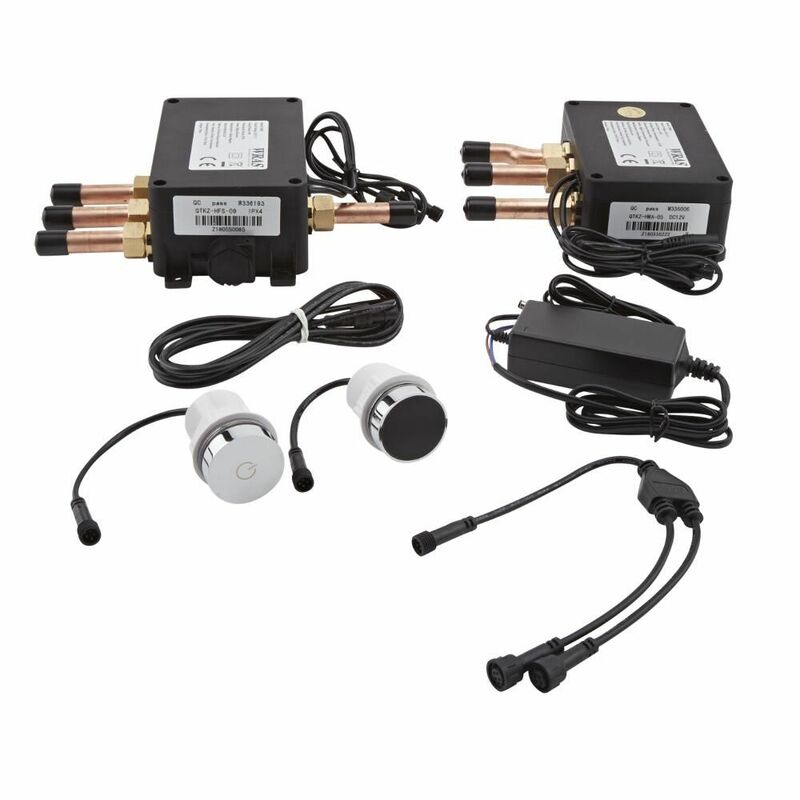 Precise temperature control ensuring safer showering for all the family. 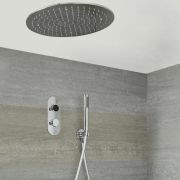 Anti-scald safety features will cut off the flow of water if the cold water supply fails for complete peace of mind.